Firework season is upon us, and bonfire night itself is nearing, which is terrific news for those of us who enjoy this time of year. But what about our feathered friends who can suffer from stress during this time? Chickens are sensitive creatures which thrive on routine and dislike sudden loud noises or changes to their environment. 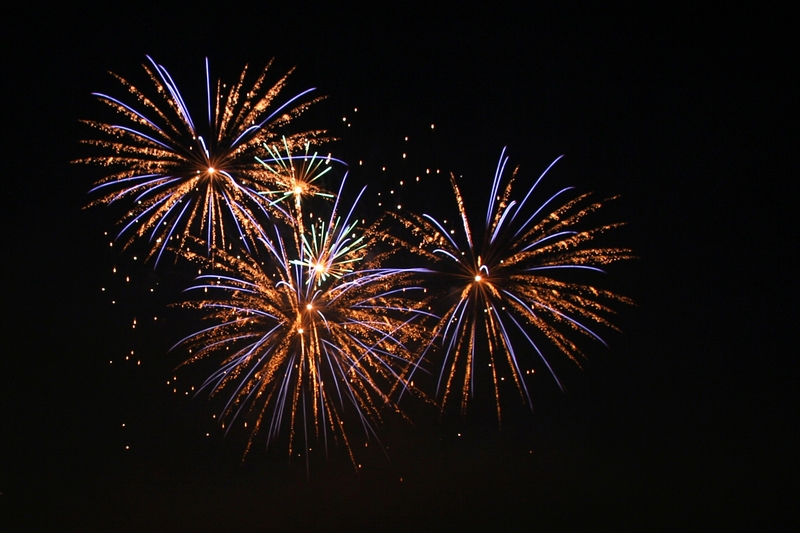 The average pet owner is well aware that firework season is a time when cats and dogs need to be kept in at night, but we also have similar responsibilities to our chickens. The days of fireworks being restricted to the 5th of November have long gone. Fireworks now accompany festivals, religious holidays, parties, New Year, the list is endless. If you live in the countryside it is unlikely that you will encounter any issues but the growth of back yard hen keeping has seen more and more hens living in suburban gardens, city courtyards and even on roof tops. Most hens cope well and snooze through the festivities but some hens do suffer from stress and often the shock of loud explosions can stop them laying or cause shell deformities. In extreme cases hens have been known to smother other hens in their panic. Commercial farmers have reported losses in their sheds due to helicopters flying over and even the burner on a hot air balloon being opened up. This shows that hens do not like such disturbances. Obviously most people are aware that hens need to be shut in at night but if you live in an area where there is high volume of firework activity you may want to consider ways to lessen the stress of the night. Make your coop totally light proof if possible; bright lights and flashes will disturb your hens and may cause them to become aggressive to other hens in the hen house. Cover windows or set up a screen to limit light. Extra insulation to deaden noise is also helpful but remember to keep ventilation holes clear. Ideally a good flow of air should be achieved but without gaps being left for stray fireworks to enter the hen house. If you can place a battery powered radio in the hen house set on a low volume the external noise will be masked. It has been proven that hens are calmed by classical music but even a radio tuned to a talk show will give reassurance even if it doesn’t mask the noise. Speak to your neighbours. If the family next door have a large display planned, ask them to direct any rockets away from your garden and if possible keep any bonfires as far away as they can. Excited children and loud music may also be a factor to consider. Calming supplements can be given to help your hens cope – Rescue remedy (Bach flowers) Oregano or lavender supplements or Chill Out (Global Herbs). If it is not possible to cover your hen house or black out windows and you live close to an organised firework display site, you might consider moving your hens indoors to a garage or outbuilding where they will feel more protected. Spent fireworks can also be a problem. Hens are really inquisitive and if they come across debris from a stray rocket or spent matches and discarded roman candles they may be tempted to peck at and even eat the litter. So, it’s entirely possible fireworks season will pass your hens by without them putting even a feather out of place. But, to be on the safe side, have the tips above handy just in case your girls get spooked.